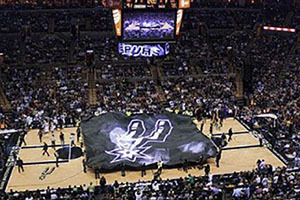 Home » Can Spurs Keep Their Cool In Game 2? Can Spurs Keep Their Cool In Game 2? In the build-up to the second game of the 2014 NBA Finals between the San Antonio Spurs and Miami Heat, fans and pundits are working hard to determine what will impact on the outcome of the last match. US sports fans love statistics and many hours can be spent reviewing players, match-ups and the likely outcome of any game. There are times though when something happens out of the ordinary and this throws statistics out of the window. The first game of the 2014 NBA Finals, while not solely being about the broken air conditioning in San Antonio, definitely had a large part of the games narrative dictated by the warm conditions on court. A lot of people have taken humour in the fact that it was the Heat who wilted in the warm conditions but there is a varying range of opinions on how much of an impact that the broken down air conditioning had. Such is the way of the modern world, and certainly the way of the modern sporting world, there has been no shortage of conspiracy theories arising from this broken down air conditioning. We’ll not take it upon ourselves to say that the air conditioning was deliberately tampered with to give the Spurs a helping hand but there are plenty of people on twitter, blogs, Facebook and the general reaches of the internet who are bringing this topic up! It has to be said that both teams were exposed to the stifling conditions on court, so the fact that the Heat seemed to take it harder may just be a coincidence. One company who believes that there is something more about the players ability to withstand warm conditions is Gatorade. With LeBron James dropping out of the game with a heat related cramping injury, and James being a player heavily associated with the brand, Gatorade didn’t waste any time in highlighting the fact that all of their star players were still in the game and looking active. Social media sites are fantastic for immediate interaction and many people follow basketball games on twitter while the games rages on the court or on TV in front of them. It can be difficult to follow absolutely everything but whoever was working the Gatorade account during the game and in the aftermath certainly never missed a trick. The firm grabbed a great deal of publicity and brand exposure at the time and they also managed to get one over on their rivals, which has to be seen as a good thing for any firm. 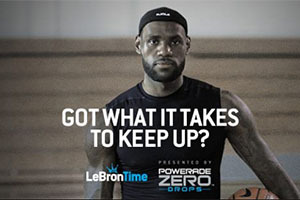 It’s not as if the fact that LeBron James endorses Powerade as opposed to Gatorade was the reason he succumbed to injury late on but when has sports advertising ever told the full story? Anyone looking to see if there has ever been a similar story in basketball should take a trip to the 1980s. This era saw a team at the top of their game, dominating the NBA with some of the best known players. The Heat may be on a roll of NBA Finals at the moment but back in the 1980s, it was the Boston Celtics who always turned up to the big events. 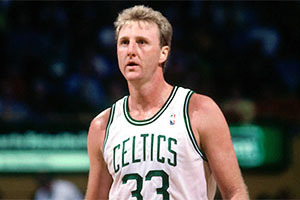 At the heart of the Celtics was Larry Bird, one of the most instantly recognisable players in the world of basketball. In the 1984 Finals, the Celtics hosted the Los Angeles Lakers in a game that has become known as “The Heat Game”. The Boston Garden didn’t have air conditioning, something which the Lakers knew, but there was a heat wave in Boston at the time and the conditions were unbearable for some. News reports in America suggest that the temperature inside the building was 97 degrees and this had an impact on many of the central figures in the game. A local Boston newspaper reported that the referee needed assistance for dehydration at half-time in the match and in stoppage-time, Lakers center Kareem Abdul-Jabbar was breathing from an oxygen mask. Abdul-Jabbar delivered a poor performance on the night while Larry Bird delivered 34 points. Promises have been made that the air conditioning will be fully functioning for Game 2 and if you fancy the Spurs to win again, Bwin has them at odds of 1.51 while they offer the Heat at 2.60. Bet365 is offering the Spurs at 1.54 and the Heat at 2.65. Another home win in San Antonio and Miami will really find that the heat is being turned up on their hopes to clinch another NBA Final.